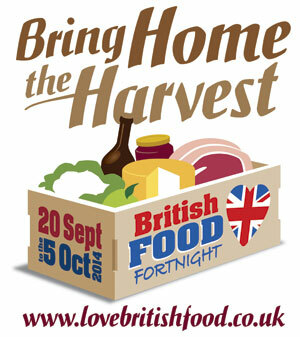 FROM Kinloss to Bovington, young people from across the country are invited to take part in British Food Fortnight, 20 September to 5 October 2014 by creating a harvest box that celebrates the food produced in your part of the UK! Vegetables from your garden or herbs grown on windowsills and in hanging baskets; your boxes could contain a mix of delicious treats such as fruit you have picked yourself or local cheese and meat. Children will be invited to the National Harvest Service in Birmingham on 20 October, where the boxes will take pride of place. The display in Birmingham Cathedral will be admired by a host of VIPs and afterwards the produce will be donated to a local charity. The National Harvest Service is part of the “Bring Home the Harvest for British Food Fortnight” campaign, supported by Tesco, which aims to bring together communities from across the UK to help rekindle the age old tradition of celebrating the harvest. Why not encourage Army families in your area to get involved? Look out for details of all British Food Fortnight activities and lots of ideas for taking part. Find out more and sign up to take part at www.lovebritishfood.co.uk, and follow activities on Twitter @LoveBritishFood, #HarvestFever, and Facebook: Love-British-Food.